Luke 24:7- Saying, The Son of man must be delivered into the hands of sinful men, and be crucified, and the third day rise again. Print this template out. Have the kids cut all the pieces out. Take your hole punch and put a hole in the top where the little hole is marked. Actually you might want to put the hole a little lower than where the hole is actually marked. You don't want the yarn to break the paper if its to thin. If you move it a little lower this will make the paper between the hole and top edge thicker. Tie your yarn or pipe cleaner around popsicle stick so they can hang. This is an easy craft for the kids to do. 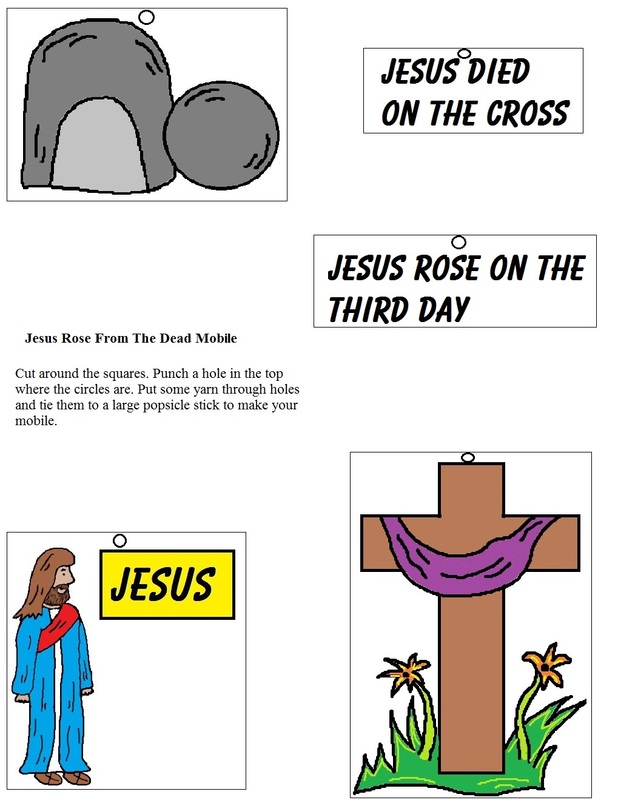 You can use this for Easter as well. 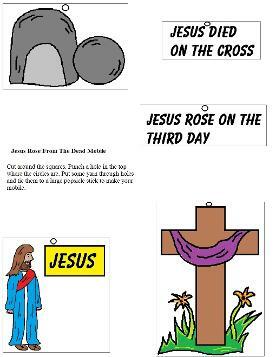 Teach the kids that he died on the cross and that he was the final payment and that he rose again on the third day.